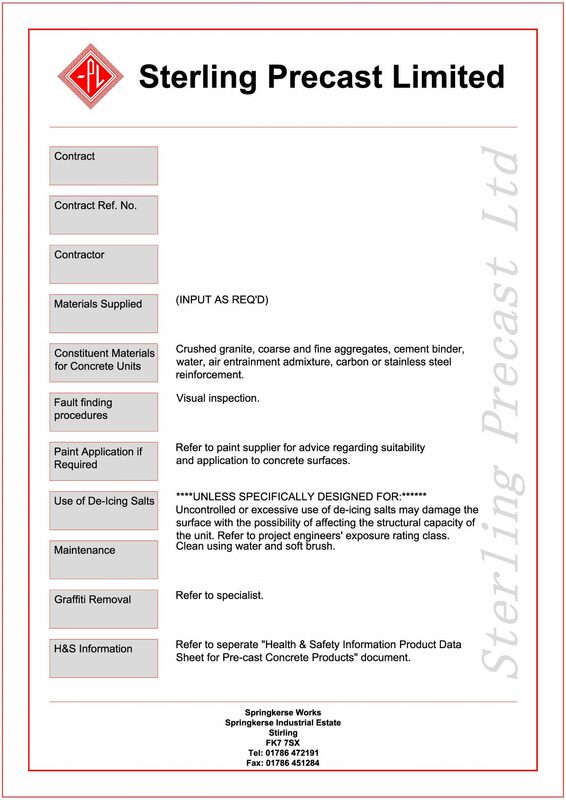 Cast Stone Units are manufactured to comply with the requirements of BS 1217, 1997. Cast Stone products can be produced in a wide range of colours. 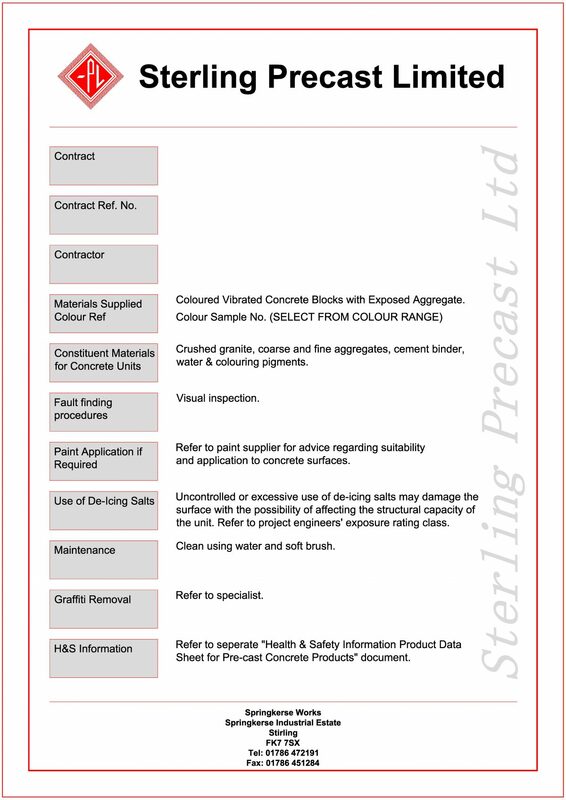 Colours contained in this website are for indication purposes only and we advise visiting our offices or requesting samples prior to ordering coloured material. Reinforcement is typically Carbon Steel with a cover to finished faces of 40mm Minimum. Where this depth of cover is not possible, Stainless Steel reinforcement is recommended. 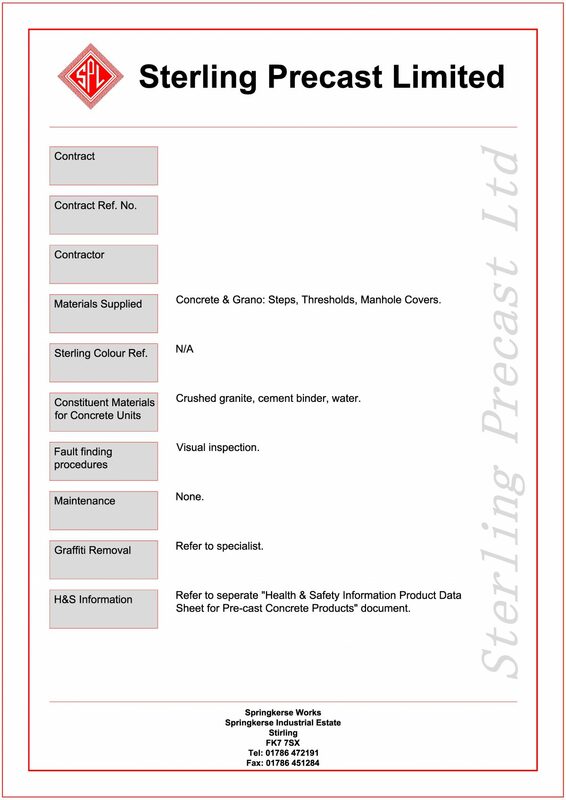 Health & Safety sheets and Operation & Maintenance (O&M) sheets specific to projects are available upon request, however samples are available to view below. Mechanical Lifting Points are becoming more and more requested within Cast Stone Masonry products. With considerations towards manual handling, unit self weights delicacy of product, non-corrosive lifting devices can be cast into our products for mechanical handling. 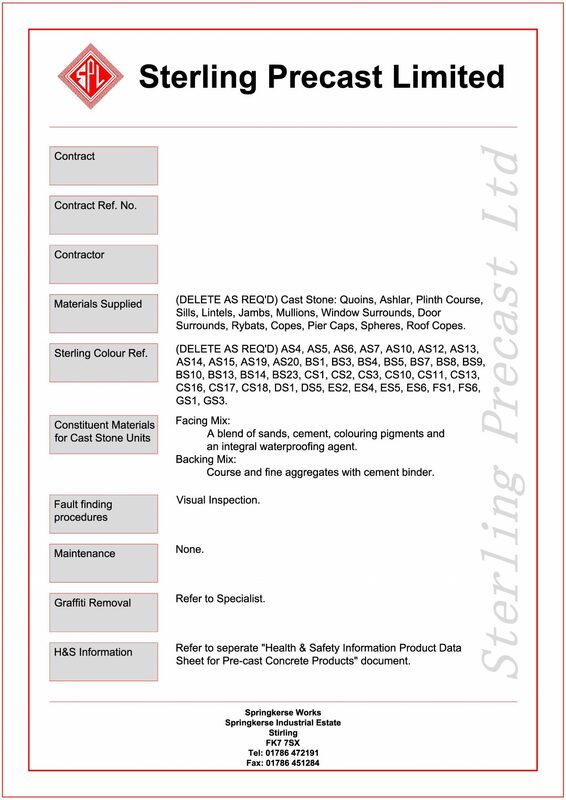 Cast Stone Masonry Products are normally provided on pallets wrapped in protective polythene. This should be kept in place until until the units are ready to be installed. Opened pallets should be covered to protect the products within. Pallets of material should always be correctly handled using forks and stored on clean, level, dry ground at a safe distance from roadways, plant, machinery and building operations. When transporting Products around the site, protective packing should always be placed between individual units and at no time should cast stone units be stacked together without packing material between them. 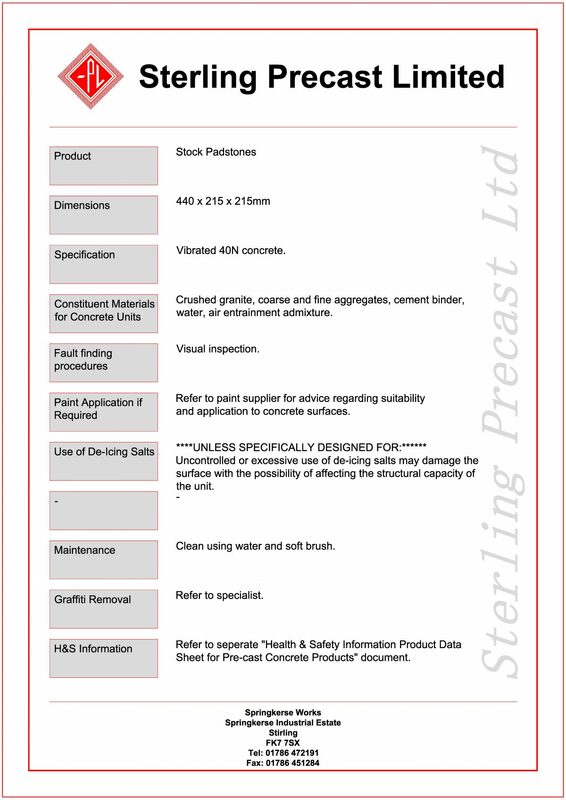 Sterling Cast Stone Architectural Masonry Products are normally designed with an allowance for 10mm joints, although this can be reduced in special circumstances. Masonry units should be installed by experienced operatives, using normal good building practices always ensuring the correct positioning of the damp proof membranes, cavity trays and fixings as specified by the designer. It is also important that the correct grade and quality of mortar is used and this should also be clearly specified by the designer. 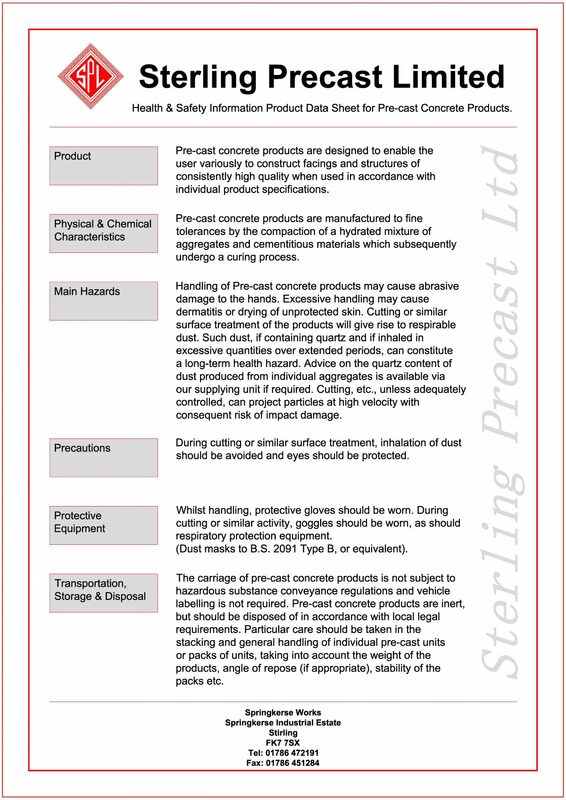 As with all Cast Stone products, Sterling Architectural Masonry should always be handled with care and protected after installation to prevent physical damage or staining from other on site trades. The cleaning of Cast Stone products should be executed with care and the use of strong acids should be avoided. Good protection policy can help avoid the need for major cleaning and repair operations. As with all good quality cast stone and cement based products, there is a possibility that the temporary phenomenon known as efflorescence will occur, causing apparent lightening of the colour. This will reduce over a period of time with natural weathering.